We care about you. What else is there to say about us that could be more important? Your wellness objectives are why we turn the open sign on six days a week. We truly enjoy helping you achieve your goals of having a stronger, healthier body and a sharper mind. We know the journey can seem long and daunting but with the knowledge and conviction of some of the most dedicated and caring individuals you’ll ever meet on our staff, we know you’ll get there. The products we offer are carefully chosen for tested quality and provide the assurance that you are getting nothing but the best. We stay informed of new products and trends in health and wellness so that we can share this information with you. Our motivation to help you comes from our own desire to maintain a healthy lifestyle. You would not go to an out of shape trainer to help you get in shape, so why would go to a big box store for your health products? Our patrons return to us year after year because of the service and care they receive at Perfect Balance Wellness. If you are not already a familiar ‘face in our space’ we hope you will check us out soon. Please, come in and find out what so many others have already learned; that at PBW you are not just a customer, you are in a Circle of Friends. This month Diane will be featuring 'Change Now Coaching,' a personal development and lifestyle coaching practice. You can contact Diane at the store by calling: 352-597-8100 Thursday & Friday 9am - 6pm. Saturday 10am - 4pm. 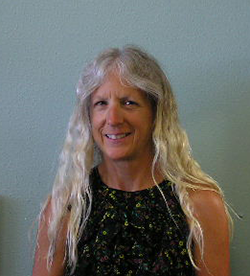 Diane’s 30-year career span has been in the holistic healing arts and the corporate business arena. Her background includes wellness and oncology coaching, energy work workshops, program development, management, marketing, and public relations. 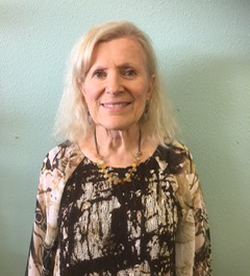 She is a graduate of The Coaches Training Institute and The American Holistic College of Nutrition, as well as a Certified Reiki Practitioner. 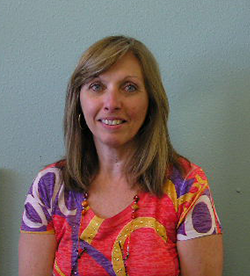 Diane has studied in the fields of wellness and body/mind work with Dr. Deepak Chopra and Dr. Joe Dispenza. Prior to her employment at Perfect Balance Wellness she was a Wellness/Oncology Coach responsible for creating and administering the Wellness Program for the Center for Cancer and Blood Disorders in Bethesda, Maryland. She has been employed at Whole Foods Market as a Store Team Leader, Nutrition Team Leader, Marketing Specialist, and Community Liaison. She has experience as a Spa Coordinator and a Women’s Fitness Manager as well as facilitating numerous educational seminars and workshops for organizations, clubs, hospitals and support groups. Diane is a sought-after Wellness Coach at Perfect Balance Wellness offering her services in her Change Now coaching practice. We were thrilled to add Diane to our team and you will be thrilled to find a sincere advocate for your well-being. 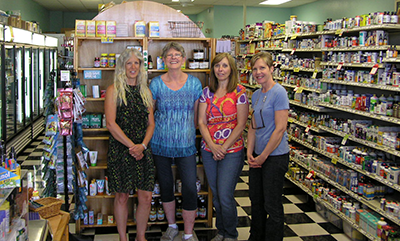 Kathy has been involved in the health food and supplement field for 25 years. Her interest in health and wellness began right out of college when she got a job working in a nationally recognized vitamin store chain. She has a varied resume working in the administrative medical care field while raising her family. Prior to our purchase of the store it was named Perfect Balance Organics. When Edy and Tom sold the business to us, Kathy stayed on and we feel fortunate that she chose to do so. 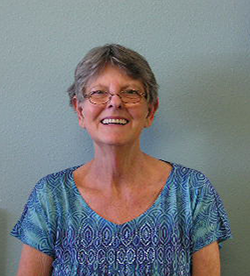 You will find Kathy to be attentive, caring and thoughtful regarding your health and wellness goals. Kathy is our Enzymedica Certified Enzyme Expert. She is passionate about the power and effectiveness of Digestive and Therapeutic Enzymes. Her favorite Digestive Enzyme is Digest Gold with Therablend™. Enzymes are key players in the digestive process. We eat for energy. However, our enzymes become depleted due to digestive diseases or the natural aging process. Supplemental enzymes turn nutrients from food to energy. Because the PH varies throughout our digestive system, it is imperative that multiple strains of enzymes work in various pH levels. Thera-blend enzymes have been shown to be three times stronger and work more than six times faster than leading digestive supplements. Kathy’s favorite Therapeutic Enzyme is Enzymedica’s SerraGold™ because of its ability to dissolve plaque, scar tissue, cysts, mucus etc., as the enzyme cleans the body of non-living tissue. Ask Kathy how you can support your own mobility, immune function, cardiovascular, sinus and systemic health with Therapeutic Enzymes. She enjoys hearing her customers report a decrease in blood pressure and lowered cholesterol while using enzymes! Kathy’s latest favorite product is Sunshine Global’s CBD oil, Cannabidiol from the industrial hemp plant. She personally has used it since October 2016 for sleeping disorders and social anxiety. Her sleep has returned to normal and levels of anxiety have decreased measurably. When you are in the store you will most likely hear Kathy extolling the many benefits of using CBD oil as a nutritional supplement. Cindy came to Perfect Balance Wellness in September 2015 with a high recommendation from the previous owners who she worked for in 2010. She is our main operations director responsible for receiving, stocking and pricing. She makes our bulk packaged products such as nut butters, trail mixes, dried fruits, beans, etc. You can rest assured that when it comes to handling food, Cindy is conscious of, and employs the most stringent sanitary methods (we never have a problem with health codes with Cindy around ;)). Cindy’s favorite products are our bulk Goji Berries and our Café Fair Morning Blend bulk coffees. When you come to the store take notice of our window treatment and checkout counter and you will see Cindy’s signature work. Prior to her expertise, we had posters all over the windows and sales ads all over the face of the counter. We love the feeling we get when we look at our newly designed counter and windows by Cindy. Before her employment here, she specialized in Interior Design and Window Treatment Fabrication. Angela started working here when the store first opened back in 2004 and is the only original employee from the previous owners. She was here when the building was constructed! Angela has been in the health food business since 2000, getting her start at the former Go To Health where she helped to establish that store. While working there she was instrumental in opening two additional store locations. She handled all grocery and supplement ordering until she hired Edy. Eventually, Edy started her own business, Perfect Balance Organics and hired Angela to help her set up the new business and she quickly became one of Edy’s most valued employees. 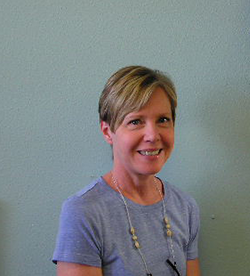 Angela is our Store Manager here at Perfect Balance Wellness and is responsible for all ordering and merchandising. She is the creative behind our product displays, but her creativity does not end there. She is also creative in her personal life. You can see her artwork on our walls and in her jewelry, displayed for sale in the store. It is Angela that keeps our displays from getting stale. We joke with her that her husband probably never knows where the furniture is going to be. Seriously though, we all appreciate her keen eye for organization and our displays are a reflection of her unique abilities. Angela has vast nutritional and supplement knowledge. Her favorite products are North American Herb and Spice P73 Oregano Oil for its immune boosting properties, Sea Essentials Liquid Multi Vitamin and Minerals, Country Life’s CoEnzymated B Complex and Sovereign Silver’s Colloidal Silver. In February of 2014 my husband Mike and I were visiting Mike’s parents and while here decided to move the family from Connecticut so we could be closer to the grandparents. I was in the process of completing my 500-hour Therapeutic Yoga Teacher Training classes and had hopes of owning a yoga studio. While searching businesses for sale in the area I discovered Perfect Balance Organics and after a visit to the store, I fell in love with it and the staff. It is very much like a natural food co-op I shopped at weekly in Connecticut. Although I have always enjoyed a healthy active lifestyle, and worked primarily in the retail world, I’ve never had formal education in nutritional supplements. How fortunate I was that the staff stayed on and helped me through the transition. They have been amazing teachers and I am still learning every single day. I am healthier than I have ever been and hope I can share the enthusiasm of a healthy lifestyle with you. As for my yoga dreams, that is on hold. I practice every morning and that is just enough for now!